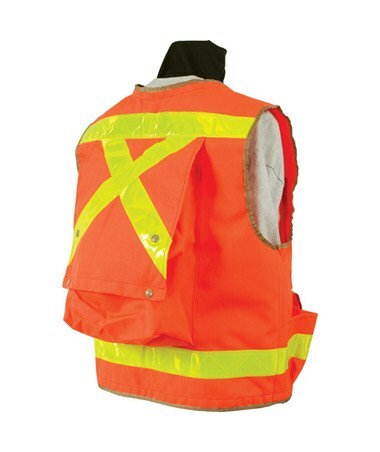 The Seco 8067-Series Light-Duty Surveyors Utility Vest is a safety vest that is highly visible in any weather condition, day or night. It is available in fluorescent yellow and fluorescent orange and features a 2-inch wide reflective tape that makes for its high visibility. This light-duty surveyors also comes in various sizes from extra small to jumbo. 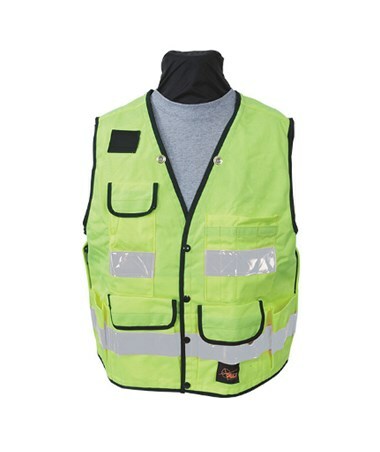 This SECO vest is made of heavy-duty 1000 denier Cordura nylon material, which is more durable than cotton, polyester, ordinary nylon, or polypropylene, and has exceptional resistance to punctures and tearing. The material is treated with a water-repellent finish. 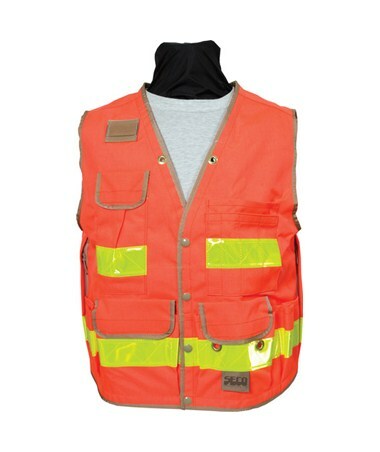 This Seco vest also has a urethane backing for additional water-resistance and strength. Please Note: Because all SECO vests are handmade, a loss of up to 2 inches in chest size is possible in manufacturing. Adding a minimum of 3 inches to the chest size should allow for a comfortable fit. The Seco 8067-Series Light-Duty Surveyors Utility Vest is available in different sizes and colors. Please select your preference from the menus above.